The National Center for Construction Education and Research (NCCER) is a not-for-profit 501(c) (3) education foundation created in 1996 to develop standardized construction, maintenance, and pipeline curricula with portable credentials and help address the critical skilled workforce shortage. NCCER’s training process of accreditation, instructor certification, standardized curriculum, national registry, assessment, and certification is a key component in the industry’s workforce development efforts. NCCER also drives multiple initiatives to enhance career development and recruitment efforts for the industry. 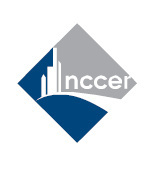 Students of YBCCS who complete all of the NCCER modules will be registered in the Automated National Registry where their NCCER certification can be found anywhere in the country. Employers can access current and future trainings and assessment history for prospective employees. Students will also receive a copy of their transcript, a certificate of completion, and a wallet card from NCCER.